With the new release of our latest products, some terminal installations are different from our previous guides and diagrams. Below is the full installation wiring diagram and settings to connect R3 with R2c. By pairing R3 with R2c, you can have a totally secured biometrics with having to invest in two master terminals. All verifications and data storage are managed by the master terminal. 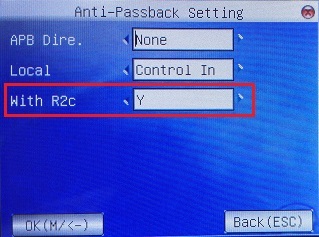 You can also control the employee movements by implementing the Anti-PassBack settings when you pair the R3 with R2c. 1. 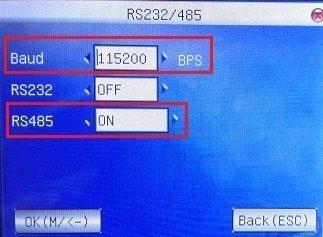 Make sure the settings in R3 are set as below. 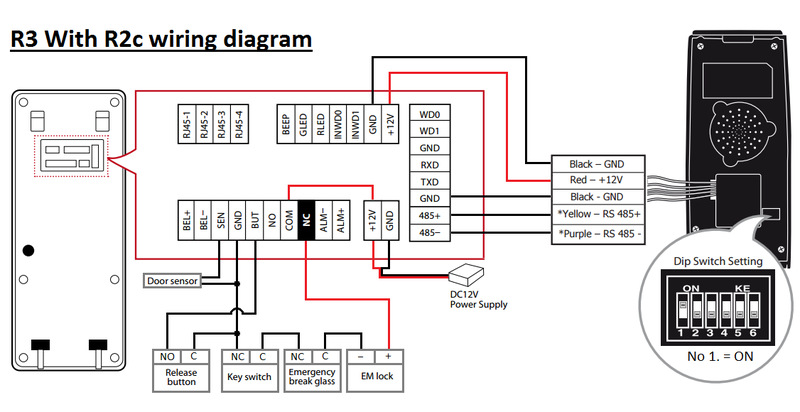 To refer to R3 and R2c manuals, click here for R3 and click this link here for R2c. 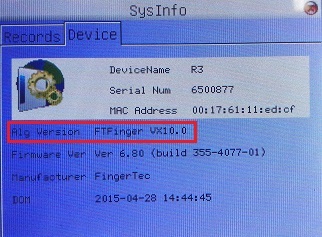 need any connection r3 to ingressus?